I’ve been looking forward to this day for a long time. I at long-last get to say: Our guest is Kate Hosford, a wonderfully talented author and also my very good friend. Kate is here as part of the festivities surrounding the release of Feeding the Flying Fanellis and Other Poems from a Circus Chef, a deliciously whimsical picture book. The chef begins by saying: ‘My days are long and sweaty, and the chaos never ends. But still, I find I’m most content when cooking for my friends.’ And cook, he does—for everyone from jugglers to contortionists to the human cannonball! It’s a celebration of poetry, circus, and mouth-watering creations, all at the same time. But none of this is a surprise when it comes to Kate, who is multitalented and has worked as an illustrator, poet, and author. Her credits include the fun and gorgeously imagined Big Bouffant and Big Birthday, as well as Infinity and Me, one of the New York Times Best Illustrated Books of 2012. In 2017, Carolrhoda will be releasing Kate’s fifth picture book, The Perfect Cup of Tea. Kate Hosford lives in Brooklyn with her husband and two sons. And is here today to tell us What Was on her . . .
Luckily, the library is only a couple blocks away from me, so I go and visit her show there. In addition to her flat work, Gabi also did some incredible three-dimensional dioramas for this show. Brooklyn Street: Lots of neighbors. Lots of little kids. The other day I saw two girls who said they were making, “The longest hop-scotch game in the world.” They drew it out in chalk, and it covered most of the block. I like to give away old books to kids on the block and leave a sign saying that they are from “The Book Fairy.” They don’t seem to have figured out that it’s me yet. Program: Like most people, I often feel like a juggler trying to remember to pay the piano teacher while figuring out a picture book plot, without forgetting that the plumber is coming… I drop a lot of balls. When I am able to concentrate on only one thing at a time, it feels so good. I think few of us are really cut out to multi-task. Desk: Two unfinished poetry collections, a ballet novel I’ve just begun, and multiple picture books. Sometimes I discover picture books I’ve written and then forgotten about. Usually I’ve forgotten about them for good reason, but sometimes I’m pleasantly surprised. Feet: My new ballet slippers! I am taking ballet once a week now to for research, but also because I love dance. It is hard physically, but perhaps even harder mentally. As soon as I learn the combination, it’s time to reverse it and do it on the other side. I always stand in the middle of the room so that I’ll have someone to watch. Because it’s New York, even beginning ballet has some former professional dancers in the class. I feel honored to even be in the same room as them. Tags: Big Birthday, Big Bouffant, books, Children's Poetry, Circus, Circus Chef, Feeding the Flying Fanellis, Infinity and Me, Kate Hosford, Sandra Nickel, The Writer's Life, What Was on Her, What Was on My, Writing, Young Adult. Bookmark the permalink. Previous post ← Cordelia Jensen–What Was on Her . . . 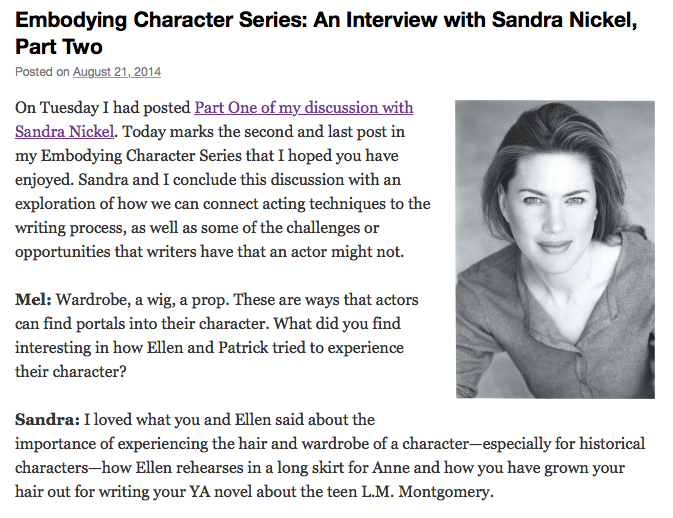 Thanks so much for this interview, Sandra. 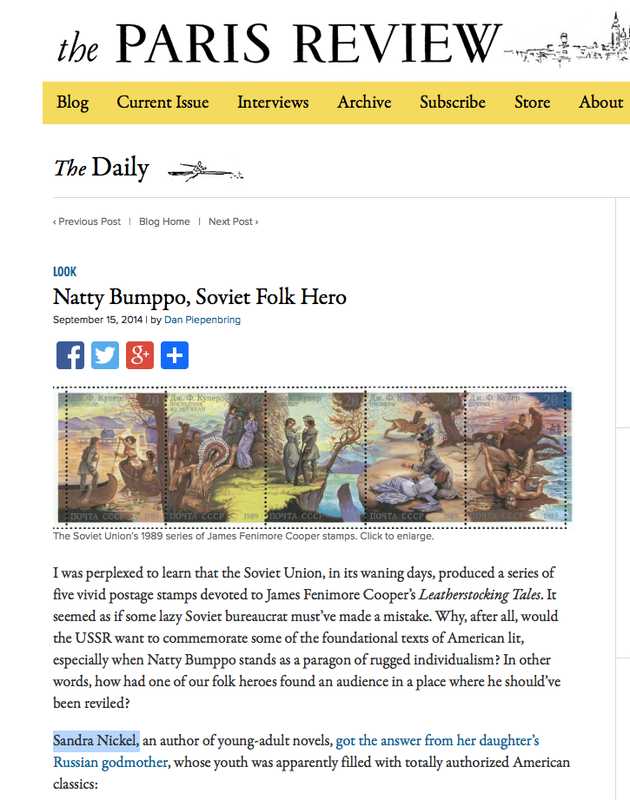 I’m so honored to be on your blog! It was MY honour, Kate! I’m so excited to read this book! I Thank you for the interview, Sandra and Kate! You’ll enjoy it, Lyn. Thanks for coming by! Hmm. I’m intrigued–and regret deeply that I did not include the microwave. I remember when Kate read her poems during residency. It’s so lovely to see her here with the book’s release! I remember that too. Such bright, vivid readings.